Becoming a green traveler is something that many people may not have heard off. To be a green traveler you don’t have to give up all your creature comforts while traveling. All you need to do is follow some simple tips to make your trip much more ecofriendly for the environment. 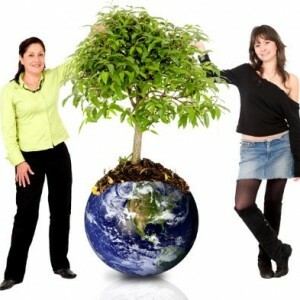 There are many websites which list hotels that promote themselves as environmentally friendly. It is best to compare them to make sure you are on the right track when it comes to your budget. These questions should be asked before booking to ensure it is the right one for you. Is the hotel locally operated and owned. If it isn’t are the staff local employees? Are there any recycling programs in place within your hotel? Can we reuse our towels and sheets instead of them being changed each and every day? Are there any programs in place that reduce consumption with energy or water? How does your hotel contribute to the community? Even if you aren’t staying in any eco-friendly accommodation option, you can still do some things to make your stay more environmentally friendly. When brushing your teeth shut off the water until you are ready to rinse. When leaving your room turn off the heat, air-conditioning, lights, television, or any other electrical devices. Reuse towels and sheets instead of changing them every day. Bring your own drinking cup and toiletries instead of the pre-packaged ones. Know what the recycling program is at your accommodation and sort your trash accordingly. Give feedback to your hotel about its eco-friendliness. Express appreciation and maybe a way they can improve something you experienced. Becoming a green traveler doesn’t mean you have to give up everything. With some of these little tips you can easily get yourself inspired and be more environmentally friendly today.